Are you looking for a one bedroom apartment in Lafayette? Maybe a two bedroom in Lafayette is more the space you need. A three bedroom in Lafayette is also an option. Whether looking for your next personal apartment or corporate housing solutions for your company, there are excellent choices in 1-bedroom, 2-bedroom, and 3-bedroom apartment in Lafayette, Louisiana. Sometimes the size space you need in an apartment or corporate housing is defined for you. The company you work for may tell you that you need to find a 1-bedroom in Lafayette. Single individuals and couples looking for their first place together to rent also need a 1-bedroom in Lafayette. Students (with their parents’ blessings) decide to live off campus and desire a 1-bedroom in Lafayette as an alternative to a dormitory room. Then, there are those who need corporate housing solutions of 2-bedrooms in Lafayette. Two bedrooms options are usually sought for a team of workers or professionals who are working on the same project. College students many times need 2-bedrooms because they want a roommate or siblings are attending the same university, and it is economical to share space. Many times, couples wish to have an extra bedroom to host overnight guests without having to use the sofa or a blow-up mattress. Families and companies both desire 3-bedrooms in Lafayette when multiple people are sharing the space. Many times, having a three-bedroom apartment in Lafayette makes sense for a corporate housing solution when people rotate in and out of a particular area. That way each person can maintain clothing and attire in their personal bedroom space while utilizing other areas as shared spaces. Three bedrooms make for great space for families with more than one child and for multi-generational families that opt to live under one roof. A 3-bedroom apartment in Lafayette is also the way to go when you have a home business, and you need the extra room for a home office without sacrificing your living areas for work duties. Persons with pets many times opt to give their family fur baby its own room. This way pet paraphernalia can be kept in one place and when guest visit, the area can be closed off for the comfort of everyone. Where do you go if you are looking for a one bedroom, two bedrooms, or a three bedroom apartment in Lafayette, La? 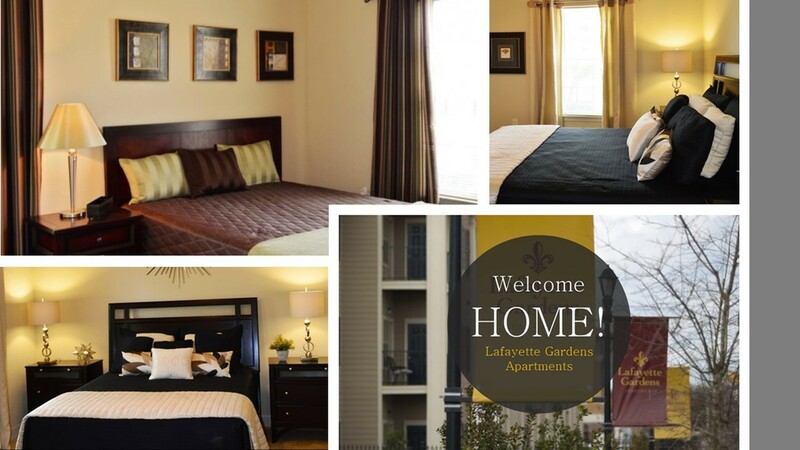 You schedule a tour of Lafayette Garden Apartments. Whether looking for personal space or corporate housing solutions in Lafayette, Louisiana, the floor plans and amenities in this gated community deserve your attention. Each apartment has an alarm system, large closets, all major appliances, and patio space. The premises are spacious, well lit, and have on-site staff and security. Two 24-hour work out centers makes it easier to keep your new year’s resolution of exercise. Prefer to walk or run outdoors? You can do that on the grounds and even swim in the pool that has a beachfront approach to the water. Contact Lafayette Garden Apartments today to learn more about move-in specials on whichever floor plan size your need. 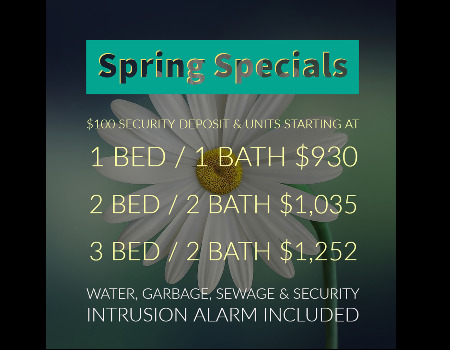 1-bedroom in Lafayette, 2-bedroom in Lafayette, 3-bedroom in Lafayette, or corporate housing in Lafayette look no further!